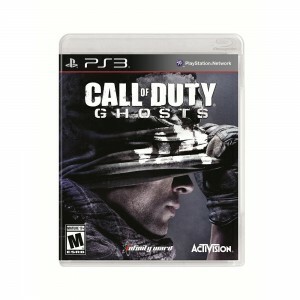 Call of Duty Ghost PS3/Xbox 360 Sale for $3.00. Free Shipping on orders $19+, free in-store pickup, or $6 shipping. This new chapter in the Call of Duty franchise features a new dynamic where players are on the side of a crippled nation fighting not for freedom, or liberty, but simply to survive. Rated 4/5 by over 2,800 reviews on Amazon.